I made pumpkin bars by request a week or so ago for a friend’s birthday. You should always have whatever sweet treat you want on your birthday. That recipe is here. It put me in the mood for more pumpkin. I don’t go crazy and want everything pumpkin flavored during the season, I generally stick to pumpkin donuts (Dunkin Donuts are my preferred and difficult-to-acquire style), pumpkin bars and the occasional pumpkin pie. 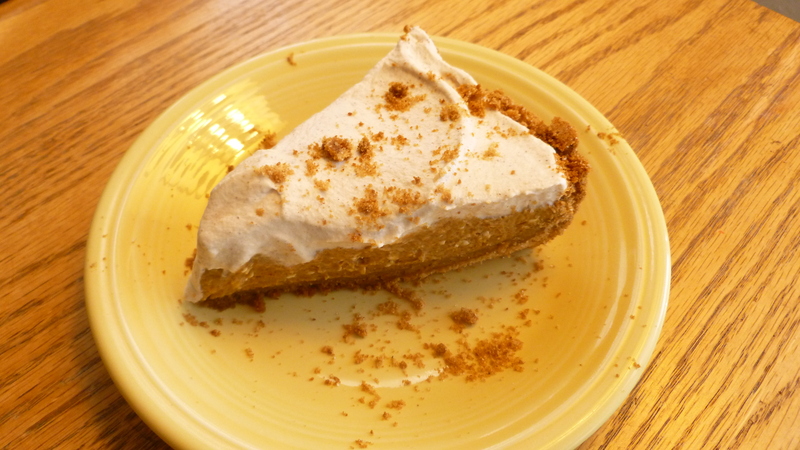 I prefer the Pumpkin Cream Pie that is the featured recipe tonight, to a traditional custard style pie. That does not mean I don’t have a bunch of pumpkin recipes at my finger tips. To see everything, click here and it will take you to the pumpkin patch, er, page. Last week when I mentioned tonight might be pumpkin week, several people sent me links to recipes and these two caught my eye: from Mnemosyne: Mini Pumpkin Pies (recipe here) and a savory, Roasted Pumpkin Soup from Emeril – click here – (sorry I couldn’t find who sent this to me). Friend of blog, Tes from TesatHome.com posted a good looking and definitely unusual, Pumpkin and Coconut Curry (click here). 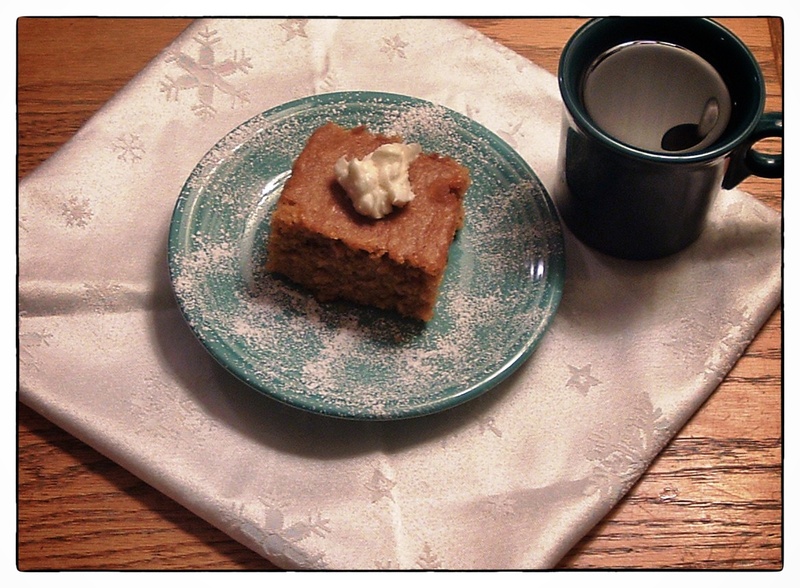 And on a non-pumpkin note, this week’s menu of Lemon-Nut Pork Chops and Raspberry Poppyseed Cake is here. There you go, a nice mix of sweet and savory for your pumpkin cravings. So what are some of your favorite pumpkin recipes? And what’s on the menu for this beautiful fall weekend, food or otherwise? Mix together in a 9-inch pie pan and press around the bottom and sides. Bake at 400 degrees for 5 minutes. Cool while making pie filling. Combine cream cheese, pumpkin, cream, sugar and spices*, mix until well combined and creamy. Add eggs one at a time, mixing well each time. Pour into cooled pie crust. Place on a baking sheet in the oven and bake at 375 degrees for 50 minutes, until the pie is mostly set, you’ll want the center to still move a bit, it will set completely while cooling and you don’t want to overcook it. I put foil over the pie for the first 40 minutes so it didn’t burn and took it off for the last 10 minutes to caramelize the filling. *after you add the spices, give it a taste and add a bit more if you’d like to kick it up a notch. I probably added a third more of each the next time I made the pie. Whip cream on med to high until it forms peaks. Using your fingers, crumble the brown sugar over cream, so it’s not clumped and add spices. Fold in ingredients gently until incorporated. 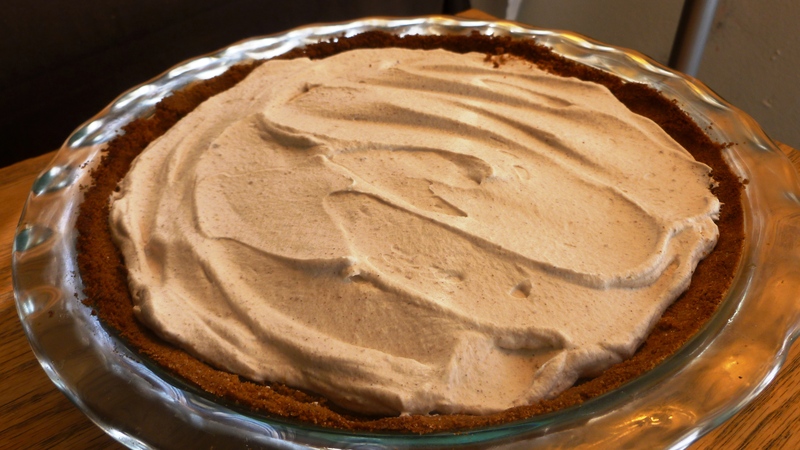 Spread or pipe over COMPLETELY cooled pie and refrigerate for 30 minutes before serving. Makes 8 pieces and is really good if it is refrigerated for a day, the flavor intensifies.